The Federal government has asked a Federal High Court, Lagos to issue a warrant of arrest against the Chairman of Innoson Group of Companies, Mr Innocent Chukwu, and three others over their refusal to come to court and take their plea in a criminal charge filed against them. Others facing warrant of arrest are Charles Chukwu, Maximian Chukwura, Mitsui OSK Line ‘C’ and Anajekwu Sunny. It would be recalled that the Office of the AGF, had sometime in 2015, filed a criminal charge of forgery before the court, against Chukwuma, his company, Innoson Nigeria Limited, and four others. In the charge, the AGF alleged that all the accused persons, between January 2010 and April 2011, at Apapa Wharf, Lagos, conspired amongst themselves to falsify shipping documents, which they deposited with Mitsui Osk Lines Lagos. The documents were allegedly used as collateral for the purpose of clearance of raw materials, polyinlchloride (PVC), for the production of roof ceiling and other imported item. However, at the resumed hearing of the matter, all the defendants except Cbukwura were still absent in court to take their plea. Consequently, the prosecutor, Mr. Ajakaiye, moved the application for the warrant of arrest to be issued against the defendants. Ajakaiye in the affidavit filed in support of his Motion on Notice, urged the court to grant his application for warrant of arrest against the defendants for their persistent refusal to attend court to take their plea. The prosecutor also told the court that since the service of the charge in the defendants, the third and fourth defendants had been coming to court, while the first, second and fifth had refused to appear in court till date. 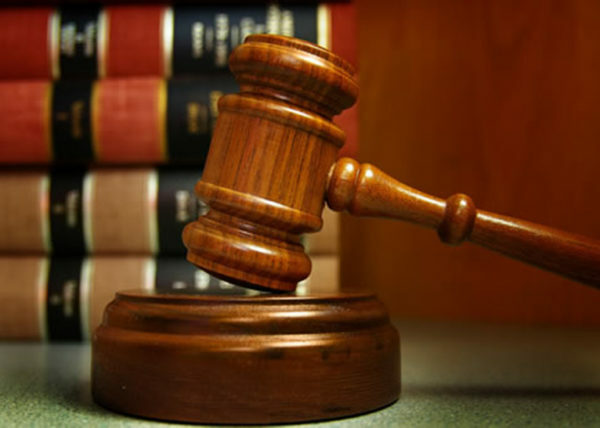 He added that the defendants were yet to take their plea before the court till date due to the absence of the first, second and fifth defendants. He added that he filed an amended charge dated April 12, 2016, but could not proceed with same due to the absence of first, second and fifth defendants. He, therefore, urged the court to grant his application for warrant of arrest to be issued against the defendants. However, the defendants represented by George Uwechue (SAN) and M. N. Mbadugha, in their counter to the application, asked the court to dismiss the application for warrant of arrest. They argued that the other defendants were joined in the suit because of the action if Innoson Nigera Limited, who had been discharged. Upon listened to the argument of both parties, the trial judge, Justice Faji, adjourned the matter till July 3, for ruling on the application.